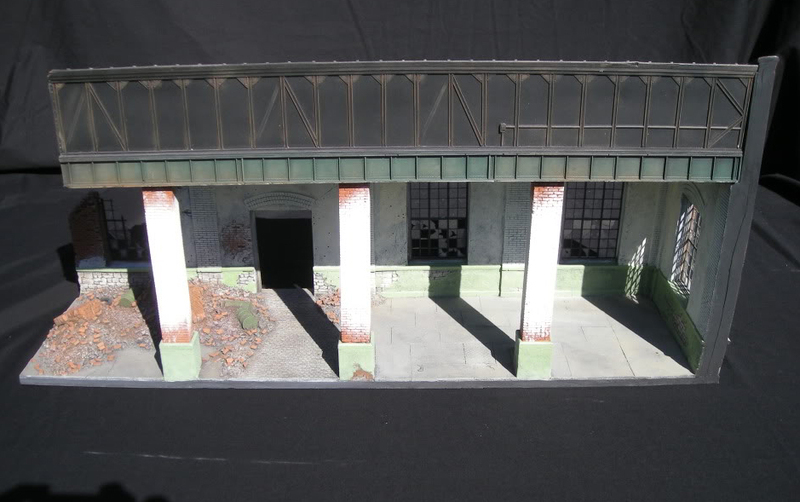 This is a 1:28 to 1:32 scale Damaged Factory from Hudson & Allen Studio. It measures 28" long, 8" deep and 13" tall to the top of the tile coping at the gable end and shipping weight including box is 7 pounds. The factory is constructed of high density, high quality urethane foam, resin and wood and is hand painted. Windows have actual scale frames and broken window panes that can be seen through just like real windows. During WWII industrial areas were often the targets for bombing and shelling. 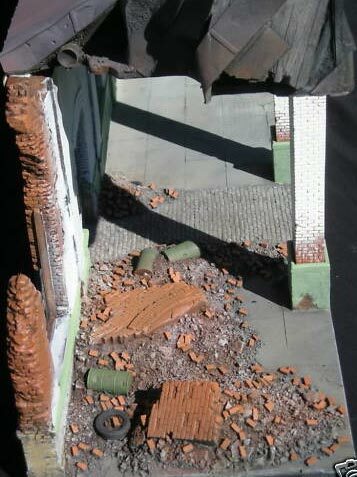 These damaged or destroyed factories often became fiercely contested pieces of real estate throughout war torn Europe. 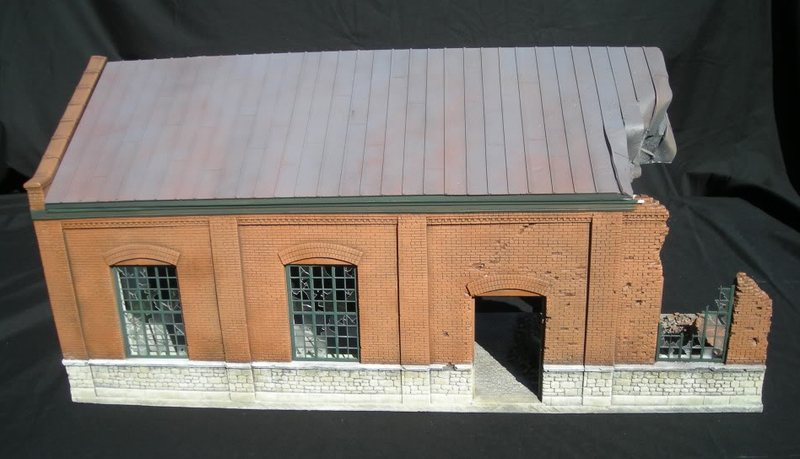 This model Factory can be used for all theaters of European operations. 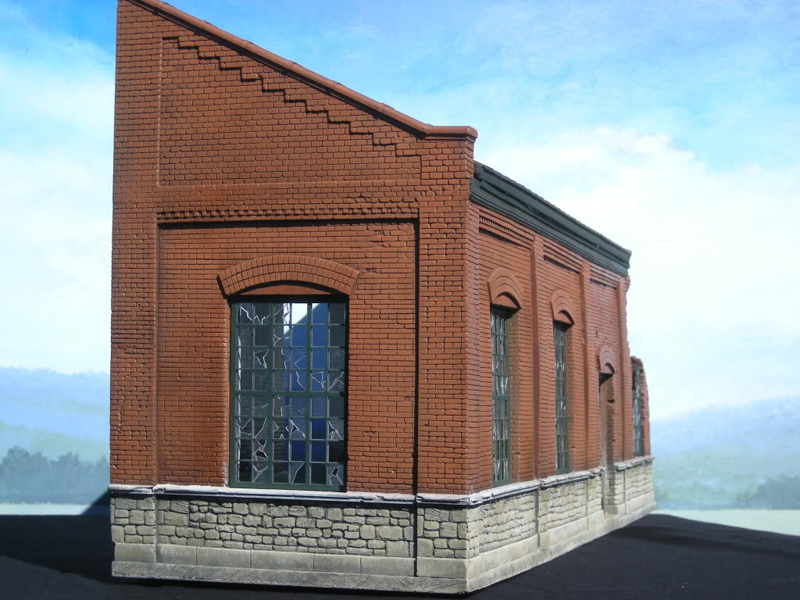 Two more add-on factory pieces are in the initial planning stages of development. As a side note, this factory (and all other H&A future buildings) are researched, designed, patterned, manufactured and hand-painted here in the USA. Mostly in Michigan.